At over 8,000 acres, strolling through Duke University was an adventure. Surprisingly warm weather greeted us. Gothic buildings define the campus and just stepping a short way from the dorms were tree-lined walkways like this one. 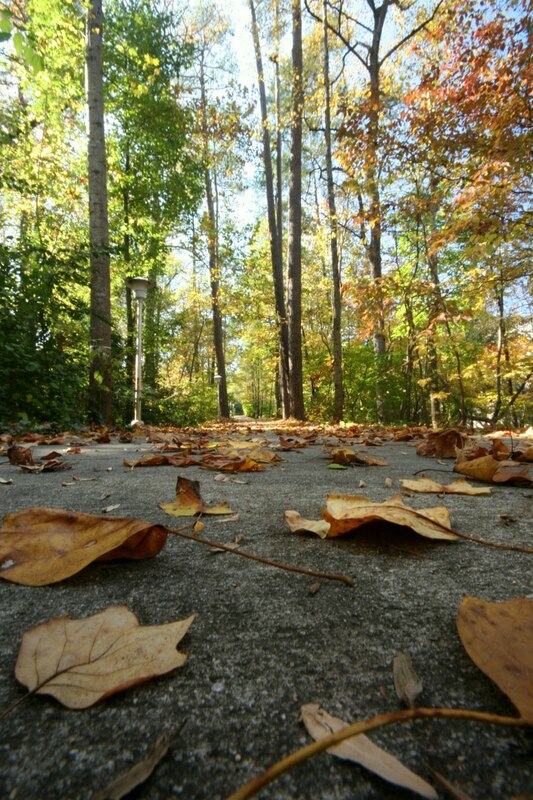 Leaves were scattered on the concrete and the trees were a multitude of vibrant colors. I know about Duke most because of my familiarity with college basketball, so I had no idea of how the campus would look. I must say, the architecture throughout campus was beautiful and the areas surrounding campus were expansive woods filled with trees of all colors.